Timers: Required for Home and Away Meets Timing is the most basic job at a dual meet and gives timers a front row seat at the meet. Timers are responsible for operating a stop watch in order to record a swimmer’s time in the Timer’s assigned lane. All Timers must attend a Timers Meeting prior to the start of each meet at which s/he is a timer. A timer may share his/her responsibilities at any given meet with another parent if necessary. Officials: Required for Home and Away Meets Officials start the meet and judge starts, strokes, and turns to make sure that they are done correctly. 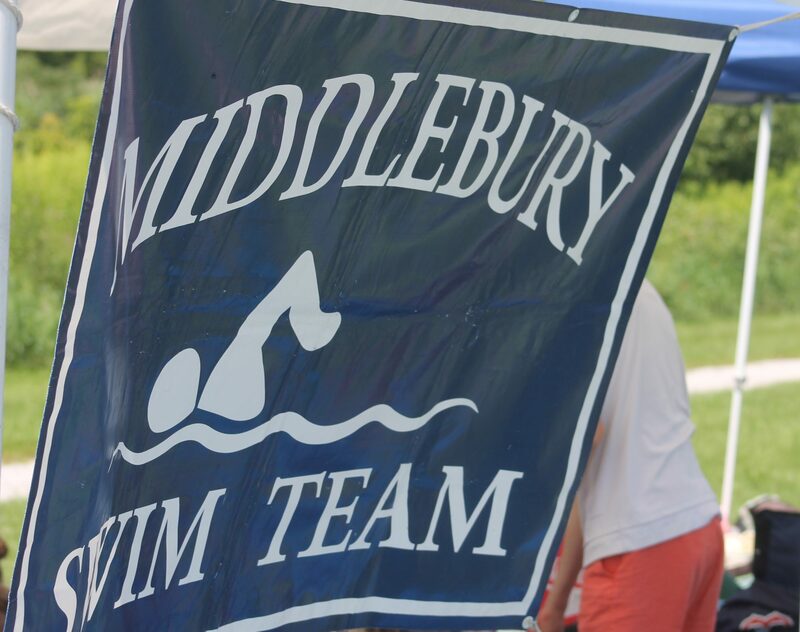 Failure of a team to provide the required minimum number of officials will result in that team’s forfeiture of the meet. Officials make sure a meet is fair for all swimmers and provides the best seat in the house. No prior swimming experience/knowledge necessary. For information on becoming an official, please click here. Bullpen: Required for Home and Away Meets The bullpen is where all the swimmers go to make sure they are put in the correct lanes and do not miss their event. At Middlebury we are known for running a very efficient bullpen. It is important that those parents running the bullpen get the swimmers seated in the proper lanes and have them ready to head to the blocks when it is time. Each swimmer will have a 3×5 card with his/her name, event, and heat and lane to make your job easier. The home team will swim in even numbered lanes and will have colored cards. The visiting team will swim in odd numbered lanes and will have white cards. Runners: Required for Home Meets ONLY, a runner collects the index cards from the timers and brings them to the scorer’s table. This job may be shared as necessary. Scorer’s/Timing Table: Required for Home and Away Meets. This job requires the Timer stroke and turn judges host team cannot provide one) Scorer to go through the cards brought by the Runner to determine the correct number of points to award each team based on the order of the finish. Scorers also prepare the newspaper sheet and enter information into the computer. Ribbon Distributor: Required for Home Meets ONLY. Heat winners usually receive a ribbon from the organizing home team; the distributor will remain on deck during the entire meet. Concession Stand: Required for Home Meets ONLY. Parents are needed at home meets to help sell food and beverages. The Concession Stand is a fundraiser for the team. It is also extremely helpful to families who do not have time to eat before a meet. All families are asked to assist by bringing supplies as well as food and beverage items for sale at the concession stand.